The limits, purpose and scope of academic freedom have been the subject of media controversy, partly because academic freedom and academic integrity are close relatives, the occasional missing link being research ethics. While freedom and integrity should protect each another, it is difficult for institutions and those who navigate them to balance competing and conflicting demands. Some of these demands are at the institutional level and others at the individual level. The purpose of this paper is to tease out some of the issues which are often too sensitive to articulate in the public square. 1. Brown, A. 2006. Academic freedom in Western Europe: Right or privilege? In E. Gerstmann and M.J. Streb (eds). Academic Freedom at the Dawn of a New Century. How Terrorism, Governments and Culture Wars Impact Free Speech. Redwood City, CA: Stanford University Press, pp.115-129. 2. American Association of University Professors. 2015. Statement on Professional Ethics. Baltimore, MD: Johns Hopkins University Press, pp.145â€“146. 3. Schall, James V. sj. 2018. On â€˜absoluteâ€™ non-absolutes: is it ever right to do what is wrong? Mercatornet: Navigating Modern Complexities. 20 February. Mercatornet.com. 4. Kimoga, Joseph, Justine Namaganda, Tom Maigut, Constance Asiimwe, and Caroline Ngabirano. 2017. The perceptions of higher education academic staff on the freedom to decide what to teach. 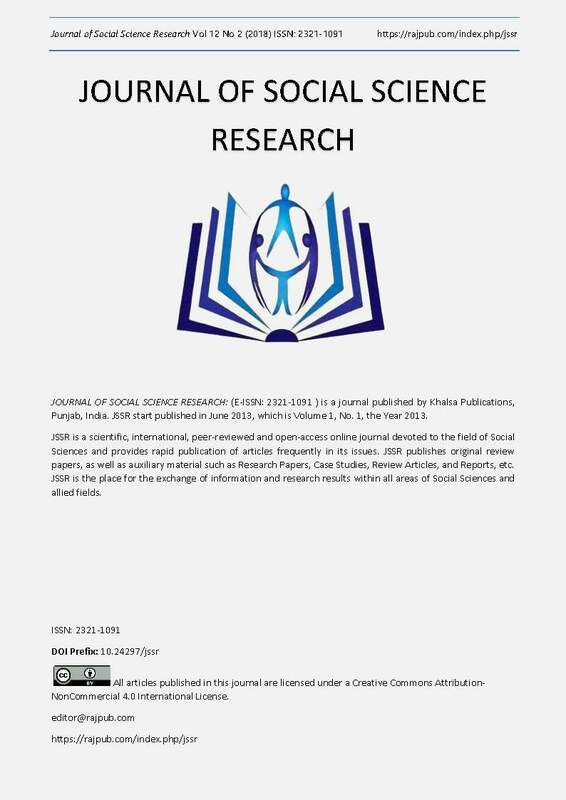 Advances in Social Science Research Journal. 4 (16): DoI:10.14758/assrj.416.3373. 5. Cabrenes, JosÃ© A. 2017. For Freedom of Expression, For Due Process, and For Yale: The Emerging Threat to Academic Freedom at a Great University. Yale Law and Policy Review: Inter Alia (01/13/2017), http://ylpr.yale.edu/inter_alia/freedom-expression-due-process-and-yale-emerging-threat-academic-freedom-great-university. 6. UNDA 2017. Academic Freedom Policy Statement. Fremantle, WA: The University of Notre Dame Australia. 7. American Association of University Professors. 1970. 1940 Statement of Principles on Academic Freedom & Tenure [with 1970 Interpretive Comments], https://www.aaup.org/ file/1940%20Statement.pdf. 8. Rowe, John. 2014. Student use of social media: when should the university intervene? Journal of Higher Education Policy & Management. 36 (3): S. 241-256. 9. Frankl, Victor E. 2006. Manâ€™s Search for Meaning. An Introduction to Logotherapy. Fourth Edition. Boston, MA: Beacon Press. 10. Cook, Michael 2017. The Great Human Dignity Heist. Redland Bay, QLD: Connor Court, pp.33-51. 11. Shannon, A.G. 2016. Intuitionistic Fuzzy Logic and Provisional Acceptance of Scientific Theories. In P. Angelov, S. Sotirov (eds). Imprecision and Uncertainty in Information Representation and Processing. Studies in Fuzziness and Soft Computing 332. Berlin: Springer, pp.15-23. 12. Langer, Susanne K. 1979. Philosophy in a new key: a study in the symbolism of reason, rite and art. Third edition. Cambridge, MA: Harvard University Press, p.289. 13. Wax, Amy and Larry Alexander 2017. Paying the price for breakdown of the country's bourgeois culture. Philadelphia Inquirer. August 9. 14. Allan, James. 2017. Coming soon to a campus near you. The Spectator Australia. 9 September, p.vi. 15. Coppens, Philip. 2013. The Lost Civilization Enigma. (Edited by Jodie Brandon.) Pompton Plains, NJ: Career Press Inc.
16. Lesh, Matthew. 2017. Free Speech on Campus Audit 2017. Melbourne, Vic: Institute of Public Affairs. 19. Symons, Xavier. 2018. â€œWill a code of ethics make researchers ethical?â€. Bioedge. 13 March. 20. Klopper, Rembrandt, Sam Lubbe and Hemduth Rugbeer. 2007. The matrix method of literature review. Alternation. 14 (1): 262-276. 21. MacIntyre, Alasdair. 2016. Ethics in the Conflicts of Modernity: An essay on Desire, Practical Reasoning, and Narrative. Cambridge: Cambridge University Press. 22. Slater, Eliot. 1978. Review of Sidney Block and Peter Reddaway, Russiaâ€™s Political Hospitals: Abuse of Psychiatry in the Soviet Union. Journal of Medical Ethics. 4 (2): 100-101. 23. Nye, Mary Jo. 2011. Michael Polanyi and His Generation: Origins of the Social Construction of Science. Chicago, IL: University of Chicago Press. 24. McGucken, William. 1978. On Freedom and Planning in Science: The Society for Freedom in Science 1940â€“1946. Minerva, 16 (1): 42â€“72. 25. Andreescu, Liviu. 2009. Foundations of Academic Freedom: Making New Sense of Some Aging Arguments. Studies in Philosophy and Education. 28 (6): 499-515. 26. Tierney, William G., and Michael Lanford. 2014. The Question of Academic Freedom: Universal Right or Relative Term. Frontiers of Education in China. 9 (1): 4-23. 27. Miller, Brian. 2014. Free to manage? A neo-liberal defence of academic freedom in British higher education. Journal of Higher Education Policy & Management. 36 (2): S. 143-154. 28. Trachtenberg, Stephen Joel, Gerald B. Kauvar, E. Bogue, and E. Grady. 2013. Presidencies Derailed: Why University Leaders Fail and How to Prevent It. Baltimore, MD: Johns Hopkins Press. 29. Spence, Michael. 2017. We limit free expression? Nothing could be further from the truth. The Australian. August 8, p.12. 30. Franklin, James. 1999. The Sydney Philosophy Disturbances. Quadrant. 43 (4): 16-21. 31. Pope John Paul II. 1979. Sapientia Christiana. Vatican City: Libreria Editrice Vaticana. 32. Hill, John Lawrence. 2016. After the Natural Law: How the Classical Worldview Supports Our Modern Moral and Political Views. San Francisco, CA: Ignatius Press. 33. Berdahl, Robert. 1990. Academic freedom, autonomy and accountability in British universities. Studies in Higher Education. 15 (2): 169-180. 34. Gideon, Andrea. 2015. Blurring Boundaries between the Public and the Private in National Research Policies and Possible Consequences from EU Primary Law. Journal of Contemporary European Research. 11(1): 50-68. 35. Schulte P. 2004. The entrepreneurial university: A strategy for institutional development. Higher Education in Europe. 29 (2): 187-191. 36. Leisyte, Ludvika, and Jay R. Dee. 2012. Understanding Academic Work in a Changing Institutional Environment. In John C. Smart, Michael B. Paulsen, Higher Education: Handbook of Theory and Research, Dordrecht: Springer, pp.123-206. 37. Lindberg-Sand, Ã…sa. 2012. The Embedding of the European Higher Education Reform at the Institutional Level: Development of Outcome-Based and Flexible Curricula? In Adrian Curaj, Peter Scott, LazÄƒr Vlasceanu, Lesley Wilson (eds). European Higher Education at the Crossroads: Between the Bologna Process and National Reforms Part 1. Dordrecht: Springer, pp.191-208. 38. Edwards, R., G. Crosling, and N-C. Lim. 2014. Organizational Structures for International Universities: Implications for Campus Autonomy, Academic Freedom, Collegiality, and Conflict. Journal of Studies in International Education. 18 (2): 180-194. 39. Streitwieser, Bernard (ed). 2014. Internationalisation of higher education and global mobility. Didcot, Oxford: Symposium Books. 40. Norton, Andrew. 2016. Mapping Australian higher education 2016. Melbourne: Grattan Institute, Ch.2. 41. Reid, Alan J., Denise Paster, and Samuel Abramovich. 2015. Digital Badges in Undergraduate Composition Courses: Effects on Intrinsic Motivation. Journal of Computer Education 2 (4): 392. 42. Birmingham, Simon. 2015. Higher Education Standards Framework. Canberra: Australian Government Department of Education and Training. 43. Shrimpton, Paul. 2014. The â€˜Making of Menâ€™: The Idea and reality of Newmanâ€™s university in Oxford and Dublin. Leominster, UK: Gracewing, pp. xxxiv-xxxvii. 44. Boyer, Ernest L. 2016. Scholarship Reconsidered: Priorities of the Professoriate. [Updated and Expanded by Drew Moser, Todd C Ream, John M Braxton and Associates.] The Carnegie Foundation for the Advancement of Teaching. San Francisco, CA: Jossey Bass.